Gemini has a dual nature. It seems that they contain two individuals in one body. The Gemini's symbol is the twins, and it represents this zodiacal sign perfectly. The traits which help Gemini in life are flexibility, adaptability and friendliness. Generally Gemini is very inquiring and it determines a high level of intellect. They love to communicate with clever people and discuss new information they got. Brain of Gemini constantly needs intellectual food. Gemini's life should be full of adventures to feel happy. Gemini perceives life like a big unending experience. The range of interests of such people is very wide. Gemini changes opinion and behavior very often. They don't follow direct line. Their way usually has many turns. In love relationships changeability may cause problems. Gemini has a tendency to giddiness and nervousness, which require attention. It's necessary to work at it. As for advices of astrology about love and romance, the best pairs for Gemini are air signs due to similar energy flows. Fire signs are good for Gemini too thanks to their vitality and life approach. Gemini + Libra: The union of Gemini and Libra is perfect. Gemini natives are usually interested in novelties in music, art and culture in common as well as Libra natives are. Common interests make this relationship close and full of excitement. Both these signs are very intellectual and both of them aspire to get new experience and knowledge. Gemini and Libra are communicative and friendly. Sexual relationships between these two signs are harmonious too. There is everything for building warm and long-lasting relationships Gemini + Libra. Gemini + Aquarius: Union of Gemini and Aquarius is successful and happy. These zodiacal signs like changes and variety. They will wonder each other and have pleasure of it. Both of them need communication much and love society greatly. Similar approach to life is the most important thing in relationships. That is why Gemini +Aquarius union will always be open, warm and strong. Gemini + Aries: Vital energy overfills Gemini and Aries. This is very active pair in all spheres of life. Gemini feels free and comfortable near Aries and the same is about Aries as both of them are emotional and expressive. Gemini may give the role of leader to Aries painlessly and easily. Learning or getting knowledge in some different way is important for Gemini as well as for Aries. 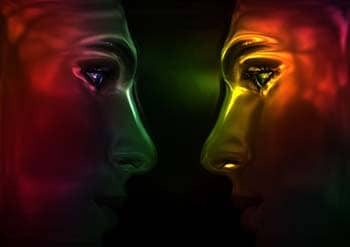 Gemini and Aries may feel themselves like one organism as they have many common interests, view and opinions. Gemini + Leo: Leo's and Gemini's peculiarity is in love of life. These zodiacal signs are fun-loving. Their joviality makes the time spent together interesting and pleasant. Both these signs possess enthusiasm and do everything with gusto. The only difference is in the way they follow. Leo is ruled by the heart, but Gemini is guided by the head. This difference doesn't make troubles, but, vice versa, it complements the strengths of both partners. Gemini's cynicism is easily overcomed with the help of natural warmth of Leo. Such relationship is rather successful. Gemini + Pisces: There is just one serious problem which is possible in relationship between Gemini and Pisces. But this problem is global for this tandem. Gemini is not always serious; its mood and behavior may change. Sometimes Gemini may become playful, careless and inconsistent. That is absolutely incomprehensible for tender and tremendously sensitive Pisces. Thus, Pisces may be hurt by Gemini and Gemini will not understand the reason. Absence of understanding because of different perception of events, behavior of partner and world in common make this relationship very difficult. Gemini + Virgo: At first sight it seems that Gemini and Virgo should understand each other and have good and stable relationship as they have similar view of the world. But they have different approach to all aspects of life. Virgo is too meticulous for Gemini. And Gemini is too changeable for Virgo. Virgo doesn't understand some spontaneous decisions of Gemini as Virgo used to analyze and plan everything. But, Gemini cannot always follow plan as it may change direction of motion on half-way. Relations between Gemini and Virgo are very difficult. Gemini + Scorpio: Scorpio is focused on the self-development. People of this zodiacal sign like privacy, they need personal space. As well Scorpio natives are all-sufficient individuals. Gemini has absolutely opposite view of this question. Gemini has deep necessity to be social and a big need in communication with a big number of different people. Unlike thoughtful Scorpio, Gemini is a little bit superficial. Confrontations on this basis are inevitable. If despite all distinctions Gemini and Scorpio decide to be together, they have to learn to discuss all questions which appear between them. Gemini + Taurus: The difference in energy flows of Taurus and Gemini makes such match almost impossible. Alive and active Gemini is not able to understand sluggish Taurus. Very often Taurus considers that Gemini is hyper flighty. And very often Gemini considers that Taurus is lazy and passive. Stability need of Taurus is difficult to get on with changeability of Gemini. Taurus + Gemini relationships stop sooner or later as there are too many incompatible things between them. Gemini + Cancer: Like all extraverts Gemini is not a good pair for introvert Cancer in spite of emotional level similarity of these two zodiacal signs. It is possible to compare Cancer with hermit, which hides from time to time. But Gemini likes society; it is surrounded by people and has pleasure of communication. Cancer's love to calmness and peace is difficult to combine with Gemini's love to unpredictability. These signs are excessively different for making relationship. If they feel sympathy to each other, their relationship, most likely, will finish after several dates. Gemini + Capricorn: This couple is pretty weird. Both are interested in those very things that possesses another side. Nonetheless, they seem not to notice them at all. Gemini-identities are hasty, undertake many things at once and require that one who would settle them down. Capricorn-identities seem to them immobile and boring. All Capricorn-born desire more fun and entertainment in their lives. However, they consider Gemini partners too quick and uncontrollable. If really opening their eyes, both can see those things that can change their lives to better. This has great future. Their collaboration might turn to be utterly profitable and in a couple, they can reach the highest aims. They only have to seek the needed things in one another a bit better. Gemini + Gemini: Two persons born under the zodiacal sign of Gemini make very cheerful, excited and filled with energy pair. They are never boring together. This union shares intriguing ideas and common points of view. Nevertheless, pair of two Gemini is week as for serious decisions and things which require responsibility. This relationship promise to be very warm, interesting and full of adventure, in case if both partners learn to be responsible and thoughtful. Gemini + Sagittarius: The strong side of relationship between Gemini and Sagittarius is their ability to understand each other. It helps to decide numerous questions and to avoid disputes. Gemini and Sagittarius are able to discuss and accept the peculiarities of the partner despite all the distinctions. These two signs have similar level of sexual energy. Getting knowledge is important for both of them. It forms the basis of common interests. But neither Gemini nor Sagittarius is serious and grounded. Nobody of them is able to decide important life tasks. So, such relationship may start pleasant and joyful, but life difficulties may destroy them.